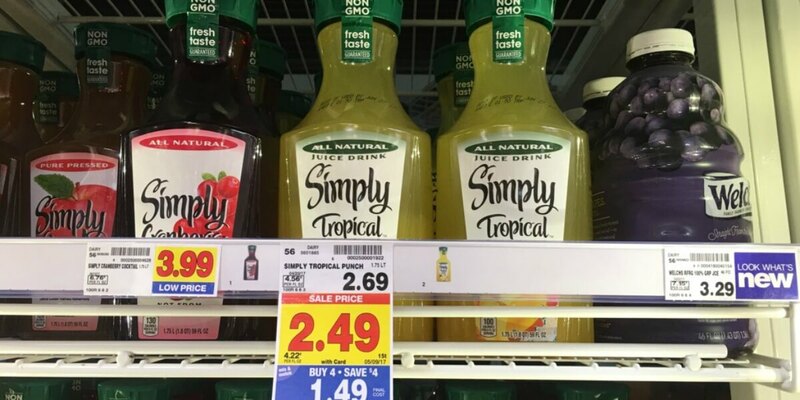 Simply Ade Juices Just $0.74 at Kroger! Here is another great deal we can score during Kroger’s Mega Savings Event! Through 5/9, you will save $4 instantly when you buy four participating items! During this event, Simply Ade Juices are on sale for $1.49 after instant savings! We can use this $0.75/1 Simply Lemonade or Simply Juice Drinks printable coupon with tis sale, making these just $0.74 after coupn and instant savings when you buy four participating items!